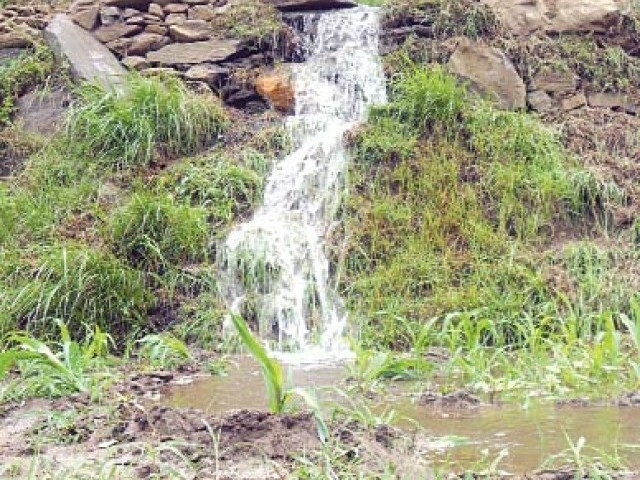 FAISALABAD: Local committees have been formed to take action against canal water thieves, District Coordination Officer (DCO) Najam Ahmad Shah told a meeting on Wednesday. Shah said the committees comprised included sub-divisional officers of irrigation, police officers and representatives of farmers. He asked the Irrigation Department officers to ensure that water was available at canal tails. He advised the anti water theft committees to trace those guilty of water theft and take legal action against them. He directed the committees to submit daily performance reports and said that satellite monitoring would be used to monitor their performance. The meeting was attended by MNAs Rajab Ali Baloch, Talal Badar Chaudhry and Chief Engineer Khawar Nazir of Irrigation Department. The DCO asked the Irrigation Department officers to ensure that water was available at canal tails. PHOTO: FAZAL KHALIQ.